There are many different types of knitting kits available on the market today, to suit many different purposes. You may be wondering why you might need one, and if you’ve been knitting for a number of years, you probably don’t. However, while many of these kits are intended for newer knitters, there are sets available for everyone. Whether you are learning the craft for the first time, getting ready for a big trip, or picking up a gift for a crafty friend of yours, there are many reasons to purchase a knitting kit. Depending on what you’re looking for, you can find the kit to meet your needs at most craft stores or online. Here are some of the most common kits that can be found in stores. While an experienced knitter will most likely have every size needle that they possibly need, there are also luxury needle kits available. These kits include all of the most common sizes of needles all in one medium. You can find them in expensive materials, with ergonomic handles, or fancy carrying cases. These kits make great gifts for a knitting friend, of for a knitter that just wants a nice upgrade. The best thing about knitting is that it gives you something to do instead of just sit still. This makes it a great craft for long plane rides, but the rules on planes are so strict these days that it’s hard to know what is allowed in your carry on and what isn’t. If you purchase a knitting travel kit that is TSA approved, you can rest assured that it will be allowed on the plane, offering you something productive to do during your flight. With one of these travel kits, you just need to add your set of needles and a skein of yarn and you’ll be all set to knit on the plane. Knitting looms are another popular knitting craft, especially with children and new knitters. Many people never learn to knit with needles because they enjoy knitting looms so much. In fact, if you have enough practice, you can make just about anything on a knitting loom that you can with needles. 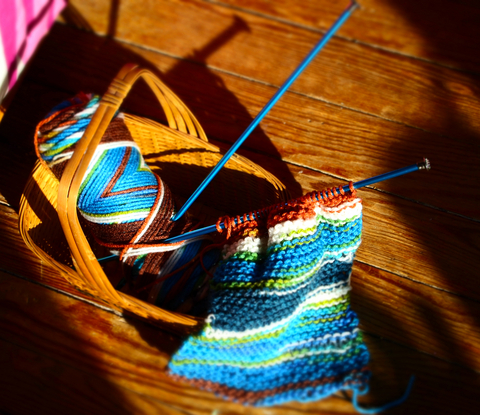 Many knitters even claim that it is much faster than knitting on needles. If you want to try your hand at knitting on a loom, you won’t have a hard time finding a kit with everything you need to start. Knitting loom kits come in different types. You may be looking for a loom kit that has all of the basic looms you will need to finish a variety of projects. However, maybe you just want to try one project and see how you like it. In that case you’ll want to find a learning kit that includes a loom, instructions, a simple pattern, and possibly some yarn. If it doesn’t have yarn included, don’t fret. Usually these kits are located very close to the yarn section in most craft stores! Knitting is a very social and relaxing activity. Whether you are just learning the craft yourself or you are hoping to get a friend interested, there are knitting kits to fit every need! Experienced knitters may be interested in a kit of high-end knitting needles and accessories; new knitters might just want the materials they need to finish their first project. Whatever knitting need you have, you can find a kit for you. 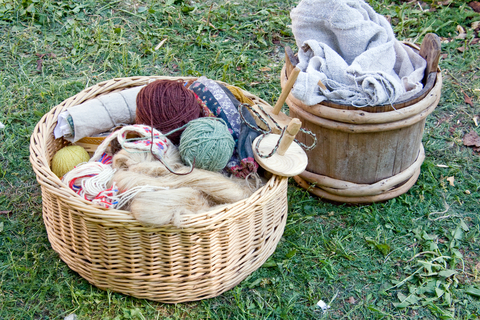 Check your local craft store or yarn shop today to see what kinds of knitting kits they offer that might interest you.